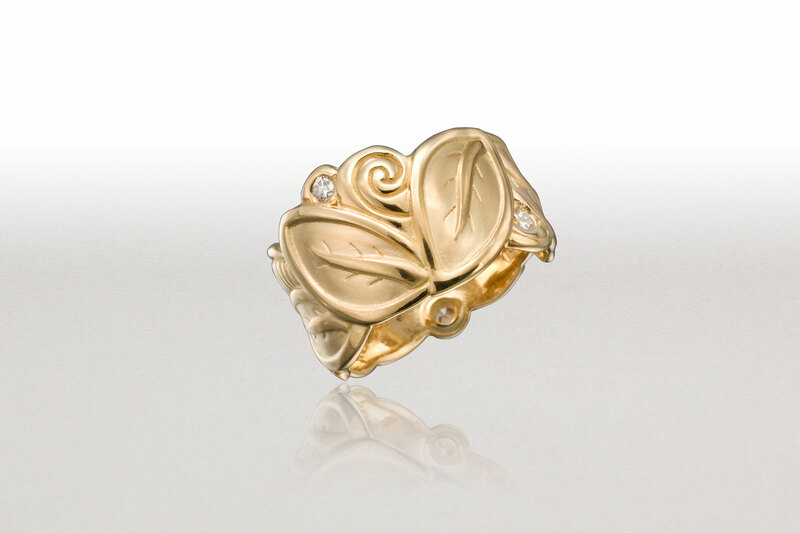 18k gold cigar band in leaves and ferns is set with 5 round diamonds. 12mm at widest point tapering to 8mm. Cigar bands feel tighter than thinner bands. For comfort, please order 1/2 size larger than you normally wear.